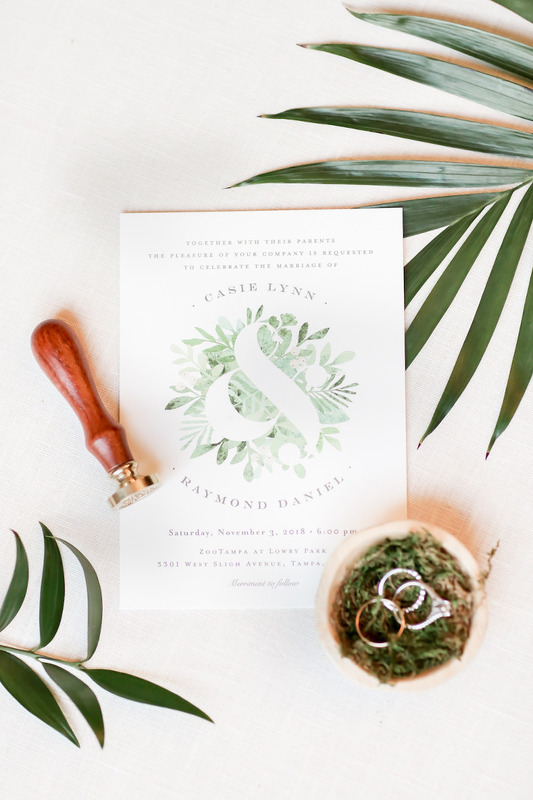 Casie and Ray’s outdoor modern-chic Tampa wedding took things to a whole new level with a gorgeous tropical ceremony and reception at ZooTampa. With fall in the air, the bride and groom chose a rich jewel-toned color palette of burgundy and gold and served pumpkin beer to toast their special love. From the start, the bride knew her longtime friend, Buffy, owner of Lifelong Photography would capture every magical moment from her wedding day. Putting her trust into another close friend, Casie enlisted the help of Michele Renee The Studio for a wedding day beauty look that was elegant and complemented her colors. With entertainment a top priority, the bride turned to Breezin’ Entertainment for their ability to deliver an amazing experience at a reasonable price. Reminiscing of the day they tied the knot, Casie and Ray enjoyed the private moments they spent together away from everyone else. I have known Michele Renee of Michele Renee the Studio for quite a few years, so I trust her completely. I really let her do what she thought would look best on me with our colors, and I was very happy! Michele has done my hair and makeup before for other events, so it was an obvious choice for me since I knew that she is a complete magician when it comes to my hair. The team was absolutely amazing, and all of my bridesmaids looked stunning. We all were so happy with our hair and makeup and really enjoyed hanging out with Michele and Stephanie while getting ready. While I was growing up, my family always took professional photos, so I was comfortable being photographed. It was important to both Ray and I to work with photographers who could make everyone feel confident and comfortable in front of the camera, and Lifelong Photography did just that. Every single member of their team was calm and truly makes you feel amazing with every shot! 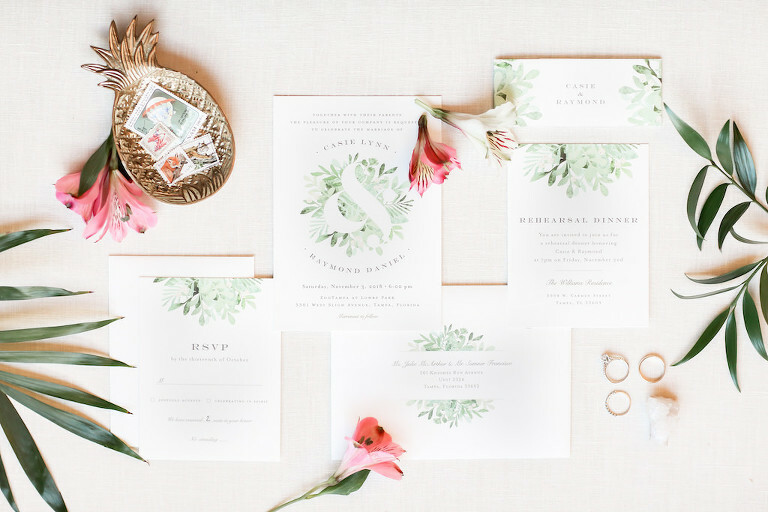 We were really wanted to embody Florida with a modern tropical feel for our theme. My family is mostly from out of town, many of them from Minnesota, so having the palm trees and Florida vibes were important to us. The zoo had such beautiful foliage, and we wanted to make sure the was felt inside throughout our reception space. We looked at blogs of zoo weddings in other parts of the country and pulled a lot of ideas from those. Burgundy and gold accents! I love the rich jewel tones of fall, and I loved how the burgundy stood out among the greenery at the zoo. Entertainment was our main priority. Choosing the right band was important for me from day one, and I knew that I could trust Breezin’ Entertainment to find us the best entertainment within our price range. Breezin’ was amazing and the band was definitely the highlight of our night! From the violinist that didn’t miss a beat to “Kiss the Girl” from Little Mermaid playing as I walked down the aisle, everything flowed perfectly. Our band did a drum finale, provided lighting, and kept the dance floor full all night without taking a break! We also had a DJ from Breezin’ to take care of dinner music and announcements. Just enjoy the day! Don’t stress too much about the small stuff because things will inevitably not always go as planned. There will definitely be bumps in the road, but it’s the bumps in the road that make for great stories. Try to remember it’s not the end of the world if the flowers weren’t exactly as you envisioned or if hair and makeup run ten minutes late, what matters is that at the end of the day you are marrying the love of your life. 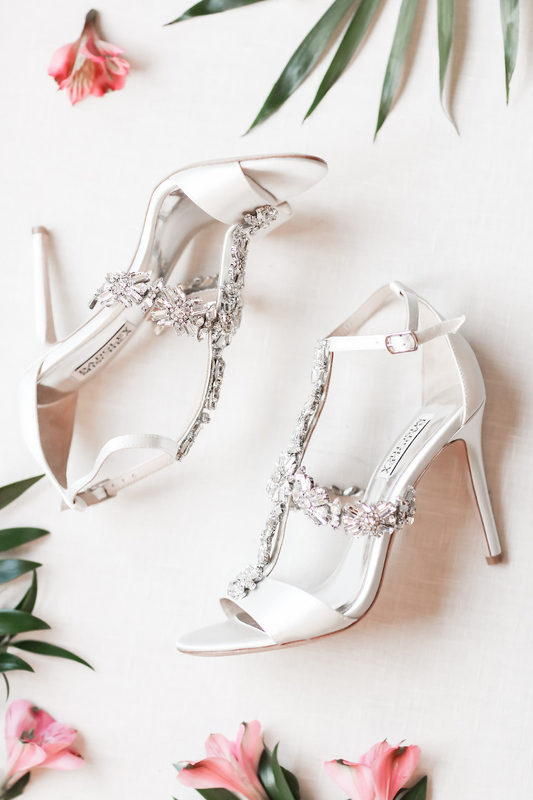 Stressing over the small stuff is just going to make it worse, so delegate a bridesmaid to be the main contact between vendors or anyone else that may cause you to stress on your big day! At the end of the day, it’s all about enjoying every moment with friends and family and not worrying about the rest.